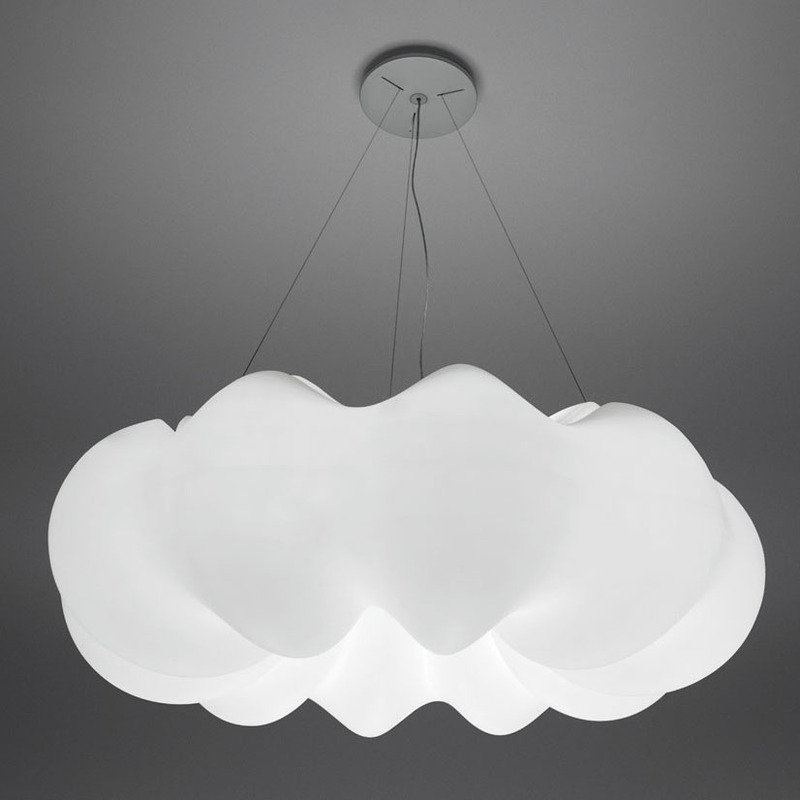 Nuboli Suspension by Artemide: low energy fitting which gives a diffused light emission. White finish diffuser manufactured from rotationally moulded polyethylene. Materials: painted steel detail / polyethylene. Lamps: 6 x 55watt TC-L (electronic ballast). Designed by Guido Matta and Enrico Giroth. 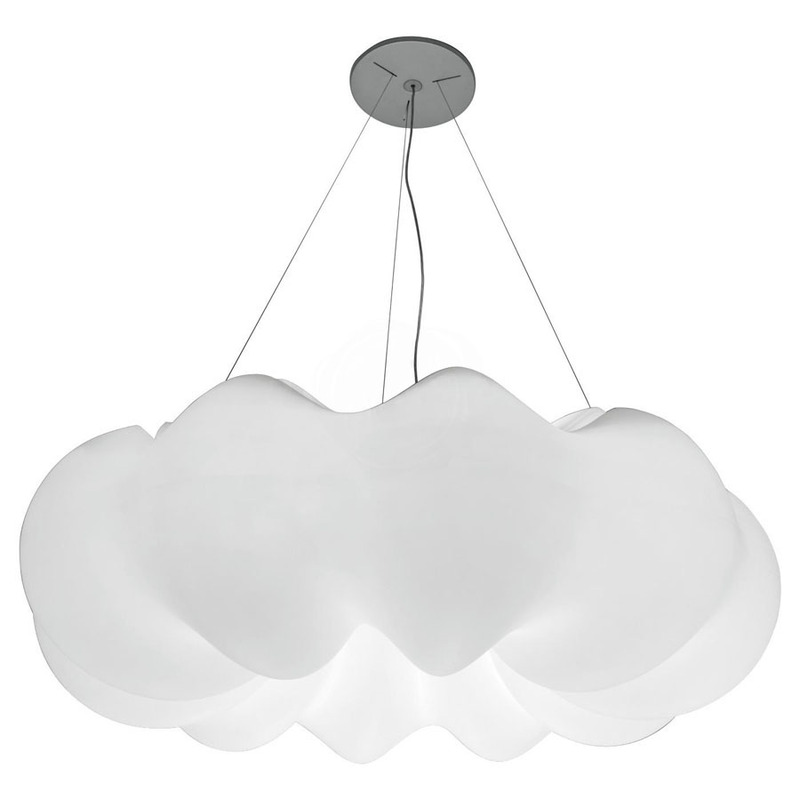 Fluffy and white, the Artemide Nuboli Suspension floats in the air like a cloud. It is quite large (more than 5' around) and glows warmly and brightly with the light of the six energy efficient CFLs within. 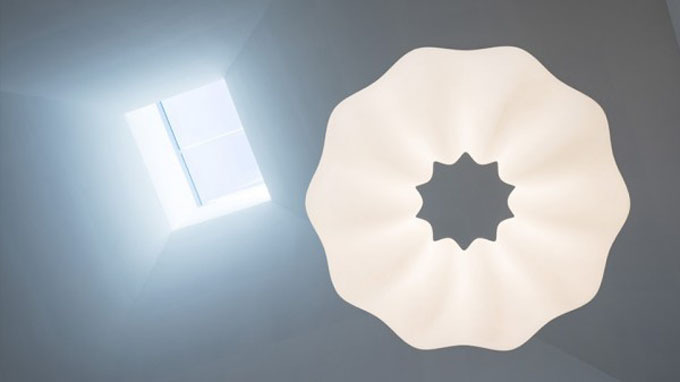 The soft ring-shaped form is made of rotationally molded polyethylene, and is suspended from the ceiling by thin steel cables. Designed in Italy. 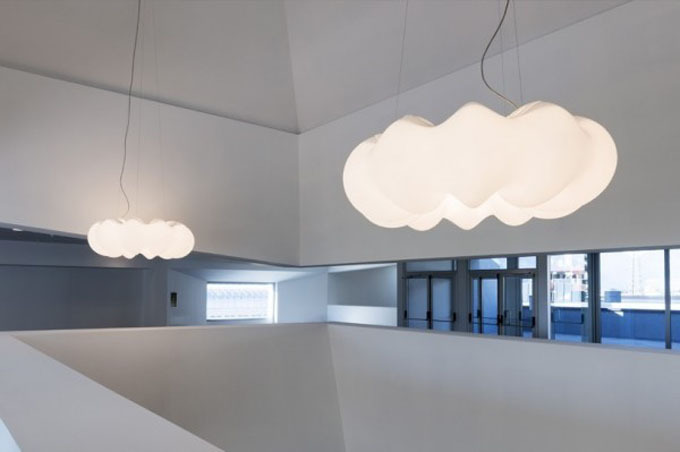 Designed by Artemide's design team, the modern contemporary "Nuboli" white pendants from Stardust are boldly scaled with a "floating" diffuser to cast a soft, ambient glow. 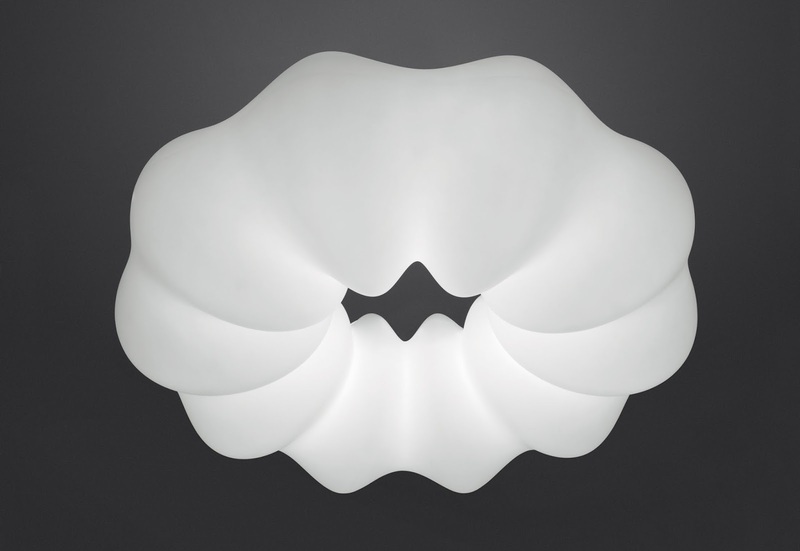 Made from rotationally molded opal white polyethylene, Flos Nuboli lamp provides illumination with almost no maintenance. Hardwires to the ceiling. 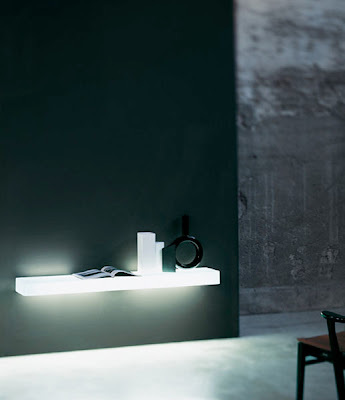 Nuboli Artemide lights use fluorescent lighting (2G11/TT5 6x55W). 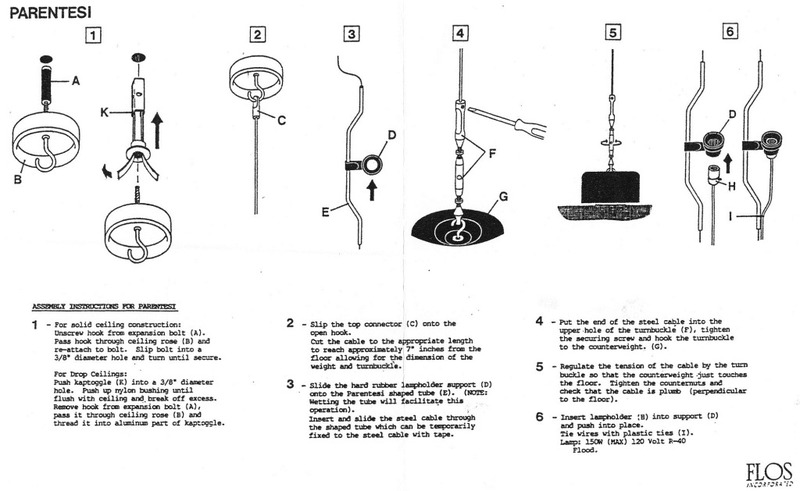 Requires reinforced ceiling installation due to product weight (approximately 99lbs/45kg). Please consult with a licensed electrical installer prior to purchase. 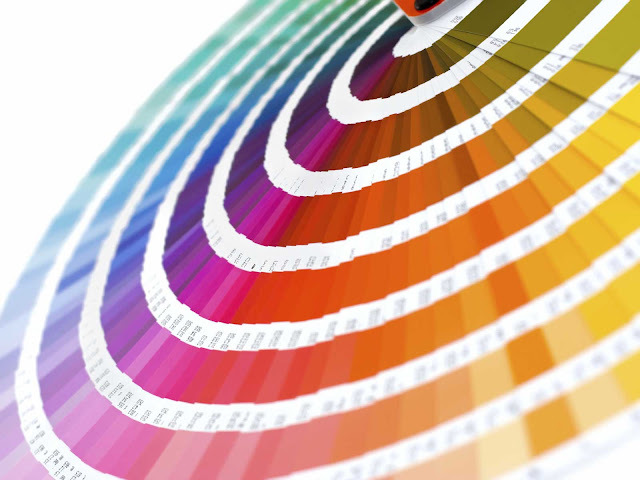 UL & cUL listed for commercial use.